I got to shoot for E! News, covering one of the most fashionable women around, Tracie Howard, according to Vanity Fair magazine. I didn’t have to go far and got to stay in Atlanta for this one. We pulled up to her place bright and early, loaded up my HDX900 and lights and made magic. 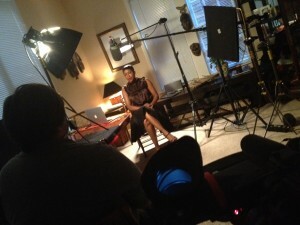 We were able to set up an interview and knock off some b-roll all before she had to go to work. After feeding the tape to HQ, I headed home ready for another adventure!